Sorry for the double post, but I couldn’t hold back. These are amazing. I had high expectations for these. Obviously, high prices come with high expectations. I’ve been disappointed by TLV before. My first TLV, the Mercedes 190E, was a bust in my eyes. I almost gave up on TLV’s altogether after the bad first experience. The Supra MKIII? Also a bust IMO. But these? Holy crap. They shattered my expectations. I can’t find any flaws with them except that the foglights are painted and not plastic. I mean, really though. That shouldn’t even be a complaint. No one makes plastic parts small enough for that. 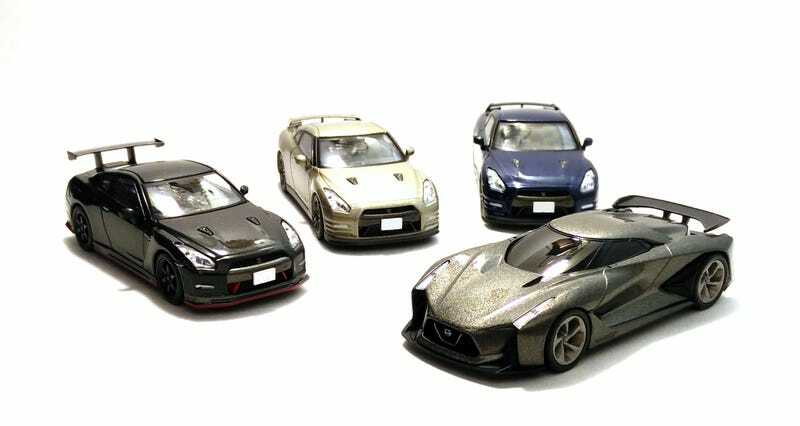 If you’re a GT-R fan, you must get at least one of them. If I were to choose just one, it would be the Nismo. dek34 (Doug), where you at?